Great service and location. I do not have the time to travel after work into the city to get my injections (botox, etc) so I was excited to see these services offered by an experienced professional on the jersey side of the river. The doctor is not arrogant like most you can see in this business and his assistants are friendly and put you at ease. I recommend this place, and priced better than ny. Does great job giving your lips excellent definition and a very natural look – I am VERY happy with his work. 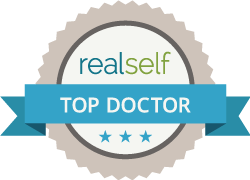 I went in for the laser hair removal which i had previously done in NYC with not-so-great results- I am now on my third treatment here and I have to say it really does work at this place – I was a bit skeptical because of my prior results in NY. I have about a 70% reduction of my hair (lip and chin) and the machine is great – I am going to do underarms and bikini next – great place.